I work for the State Of Iowa as a tech support person. I am also a Microsoft Certified Systems Engineer. I have been a fan of Jim's since 1980 when the album Catholic Boy was released. 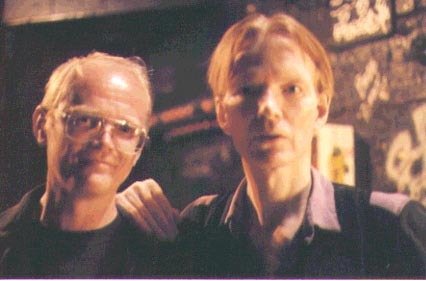 I was and still am mainly a collector of the Jim Carroll Band's music. I was never able to see the JCB, but I did get to watch Jim perform at four separate readings. I found the original Jim Carroll Website when looking for a very hard to find copy of a JCB bootleg, Live Dreams.